I’ve always loved torches starting way back 35 years ago when my Nan would keep me supplied with the latest unimpressive cheapy Duracell or whatever. Then Maglite came along with giant impressive looking designs which were great at being torches and great at being a cosh. When LEDs became almost viable, some impressively poor torches appeared – lasted many hours, but not very bright. Then whilst buying an axe at my local hardware store I spotted something new. 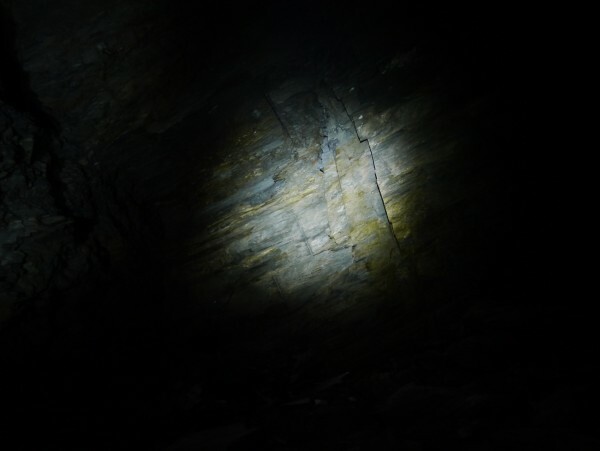 An LED Lenser torch. It had a mirror in the packaging so you could try it out and dazzle yourself. Sold. I had to wait a few hours for darkness to fall and was then wowed by how bright this torch was for its diminutive size. I had brighter torches, but not ones that could disappear into a pocket with 3 little AAAs powering them. As Christmas arrived, relatives were confused why I had bought them all a tiny torch. Until they tried them! I got them the next model up that was powered by a single AA battery to be even smaller and had a cool way of focusing / spreading the beam by pushing the end of the torch in and out. They were fantastically well made and are all still working to this day. Since then, the market has exploded with torches and lamps for running, mountain biking and general use. 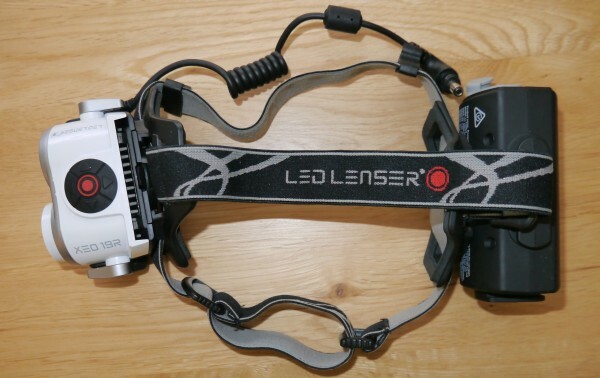 Which brings us to this review of the LED Lenser XEO19R. XEO 19R. 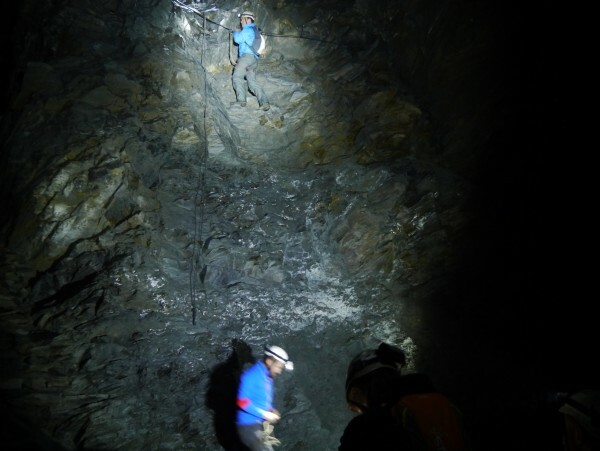 It’s their top of the range head lamp so when they supplied me with one to test, I went to North Wales for some mountain biking in the dark at Coed Y Brenin and caving / potholing / spelunking at Go Below Underground near Betws-y-Coed. Pretty harsh testing grounds. It’s a robust rechargeable head torch, with large external battery pack, so is designed for helmet, bike or handheld use. 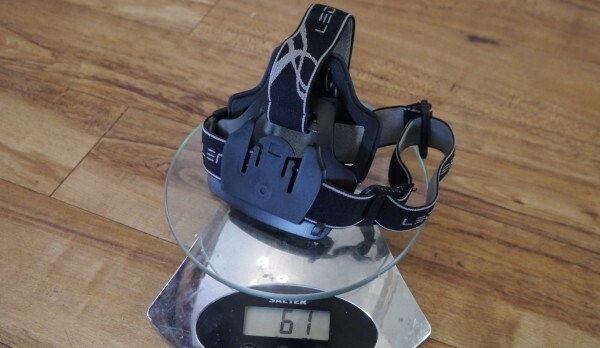 It can be used directly on the head, but my testing showed that whilst it would work for slower activity like walking, it is not ideal for runs where you bob up and down a bit. 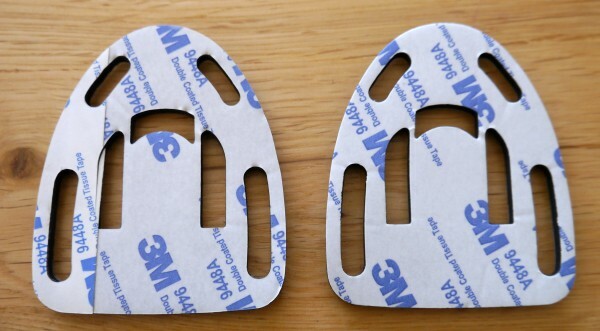 The packaging also shows head mount usage in smoother activities like skiing and long boarding, which makes sense. 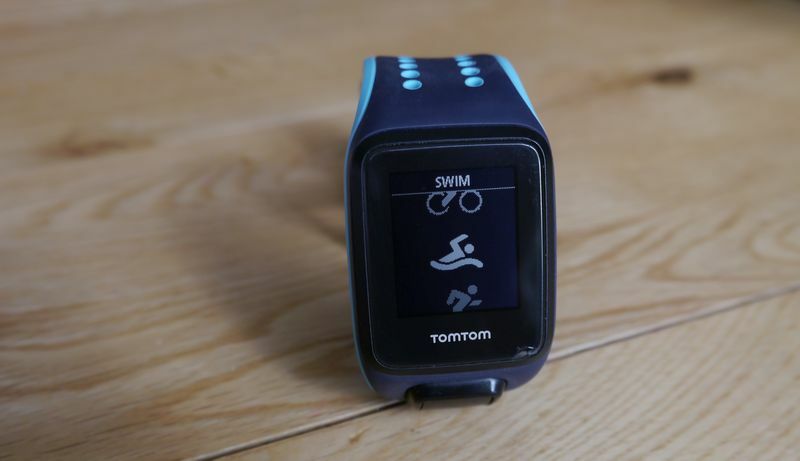 Its priority is a combination of brightness, beam spread types and battery life, rather than light weight. When I opened the box, it was immediately obvious this lamp aims to cover all eventualities! There is a decent array of attachments and accessories. The case itself has a soft foam structure, so is light, and has velour lined twin-compartments, with a flap for documents / instructions, and a carry handle. The PSU / charger unit takes either 100V or 240V, so you can plug it in while travelling abroad without any worries, and provides 18V output at 2.5A (negative outside, positive inside). 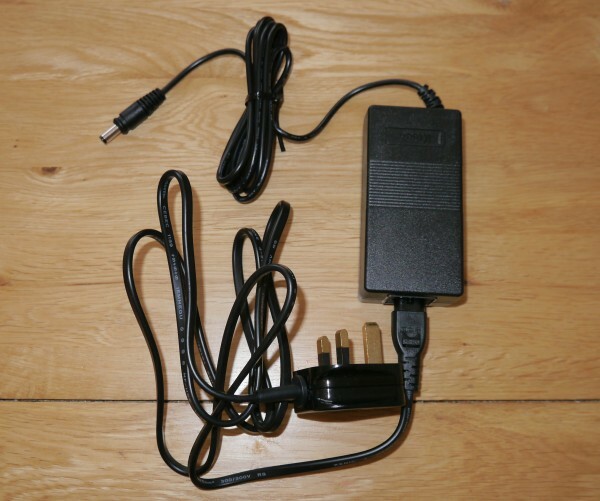 It can’t be plugged directly into the battery pack, instead requiring a short adapter lead – I assume this is due to using a generic charger supplier, so look after that adapter lead – leave it plugged into the charger!? 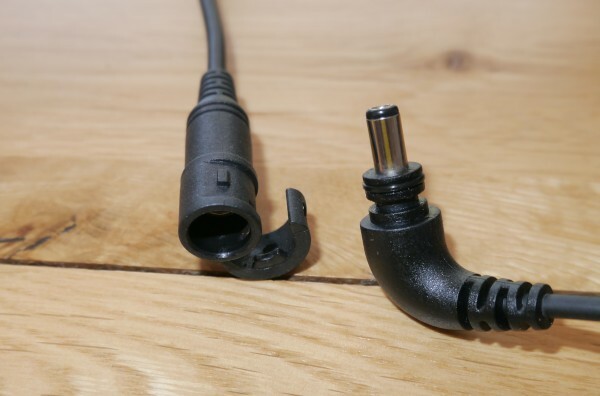 The PSU cable has a region (UK) specific plug, so no need to build the plug. The battery pack is quite a serious piece of kit. 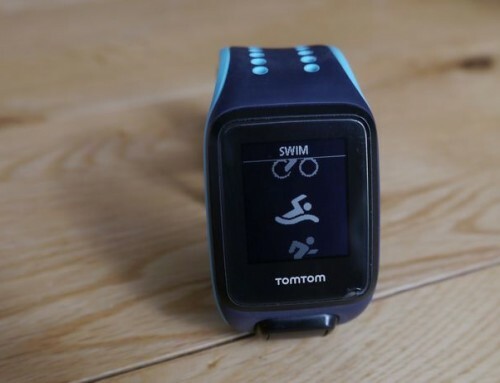 It contains 4X18650 Li-Ion rechargeable batteries and is designed to be water and shock resistant, rather than user-serviceable. When the pack eventually reaches the end of its life-time, it’s time for a new pack – most 18650 batteries are rated for 500+ charge cycles before they start to drop off. It comes with an optional neoprene cover with a belt loop – I suspect this is more to protect your foot in case you drop it rather than protecting the actual pack, which looks bomb proof. 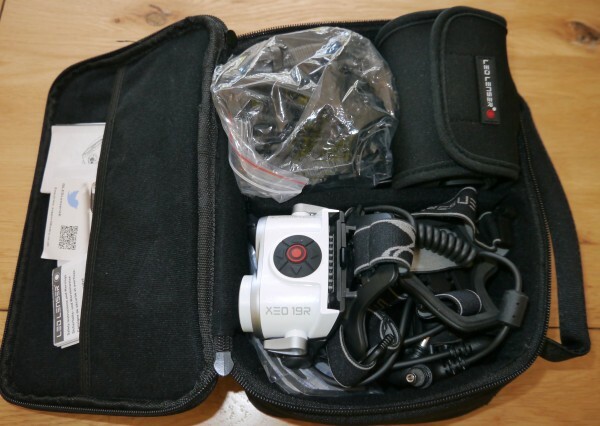 It has a multitude of different mount areas for different types of attachments, all included in the box. The pack also has a USB port output rated at 1A, so you can charge a phone. There is a visual charge level indicator. The head / helmet strap is adjustable and has large padded sections at the front and back which are also curved in shaped for comfort. 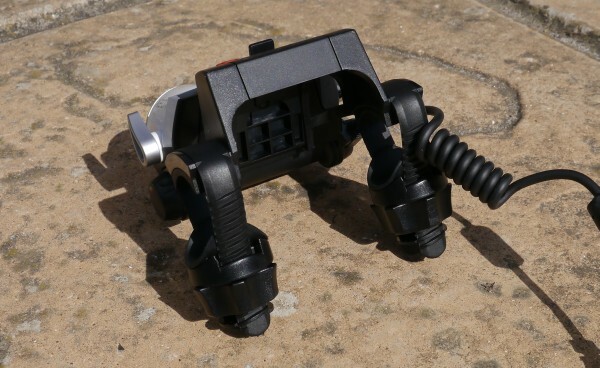 There is a bike frame mount for the battery pack, with rubber protection and rubber tie loops. 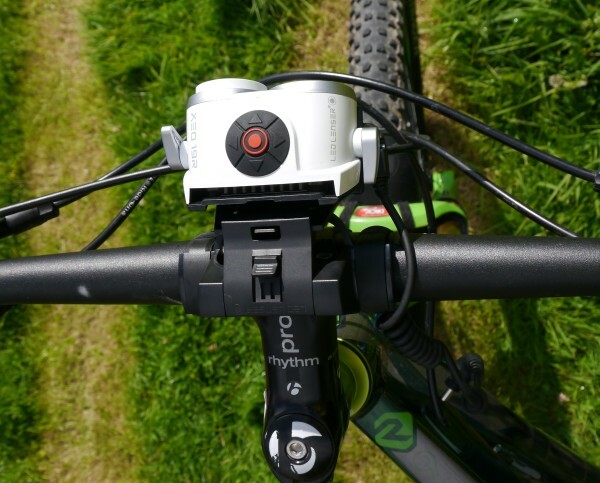 The handlebar mount allows the lamp to be positioned directly over the handlebar stem so that the beam points directly forwards. 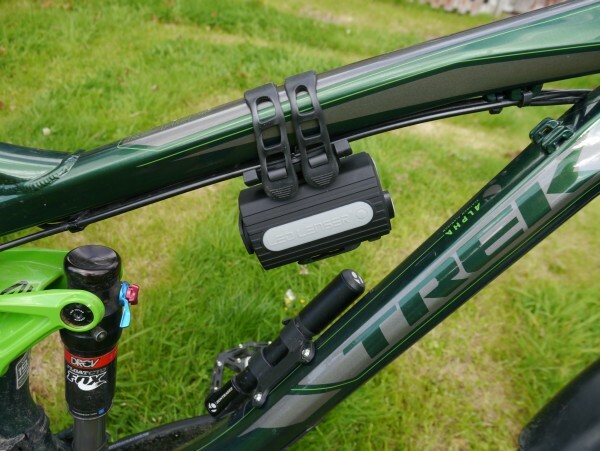 It has rubber pads in all the right places to protect your daftly expensive bars and is quick to attach and detach, whilst still being secure, so it doesn’t move around on the trails. 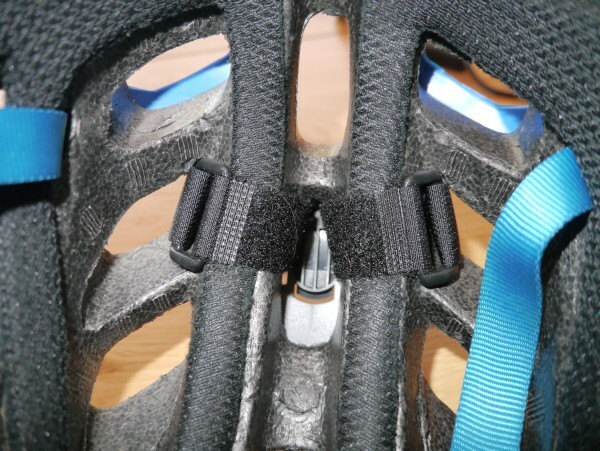 There is a bike helmet mount, with a couple of sets of different sized velcro straps that go through the helmet vents. 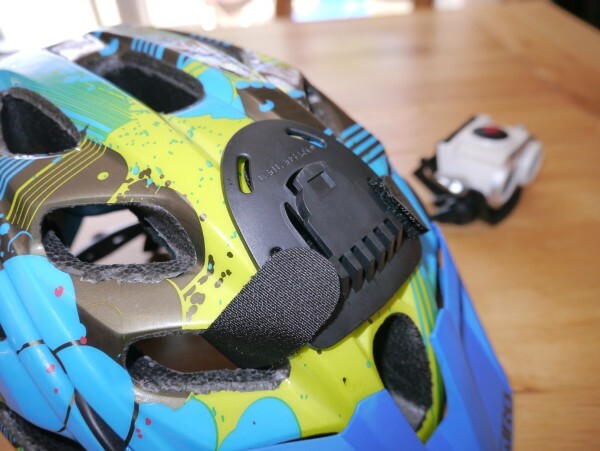 If can’t find any vents suitable, or just don’t have any, like a snowboard / ski helmet, then there are a couple of 3M sticky pads which can be used for attaching the mount permanently to the helmet. 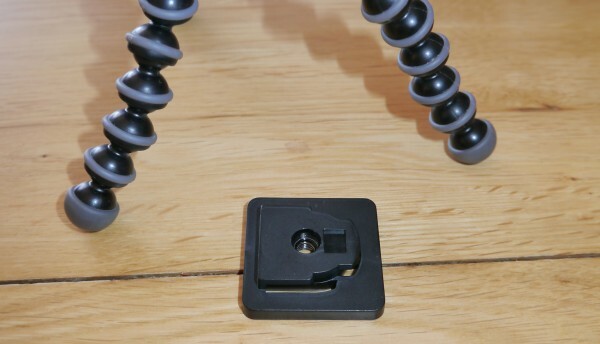 There is a camera tripod sized mount in case you want to have the lamp positioned in one place. 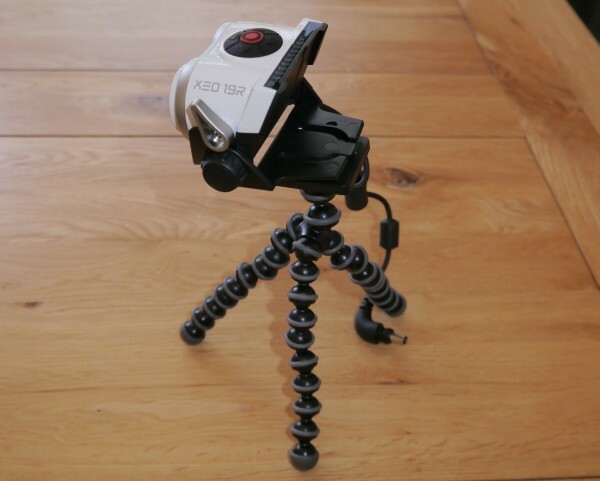 There is also a Go-Pro style mount included, so that you could attach the lamp to a chest mount if you own one. 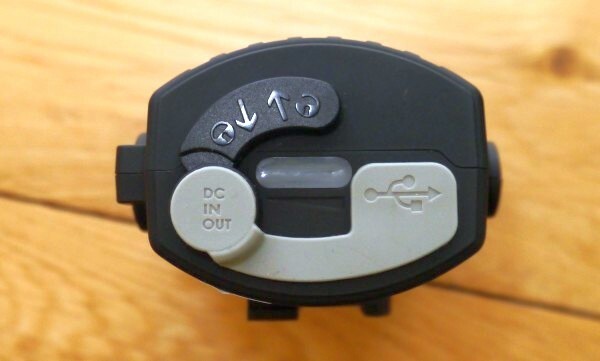 There is a belt clip which has a slip prevention loop – it won’t jump off if you are jumping about. You can attach the battery pack or the lamp to this. 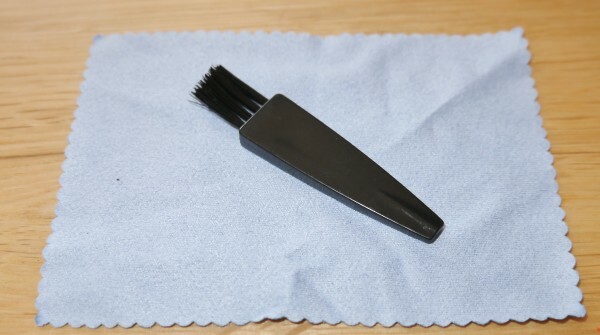 There is a small micro-fibre cloth and brush. Finally, the lamp itself, which comes in either white, black or black / green, has twin LEDs with independent beam adjustment lenses and a multi-function button area on top. It has a short coiled-cable to the plug and a ratchet-style pivot which allows the beam to be aimed through roughly 60deg in 5 positions. You can also mount the lamp directly on to the battery pack in case you want to use it as a hand-held torch. It has a plastic casing which is tough, but not to ruggedised levels, with no rubber on the lamp. However, I bashed my head (and thus the lamp) on the roof of a cave system several times and the lamp shows no sign of any scratches or wear. There are two high power LEDs on the XEO19R. Each one has its own adjustment lever (silver in my photos) on either side of the unit that changes the focus of the beam from a very wide spread to a narrow beam. The two LEDs can also be independently controlled in terms of brightness setting and mode, or you can choose to link them. Or only use one of them. This is all controlled via a D-pad button layout with a central button. It’s worth getting accustomed to these controls before you head out. 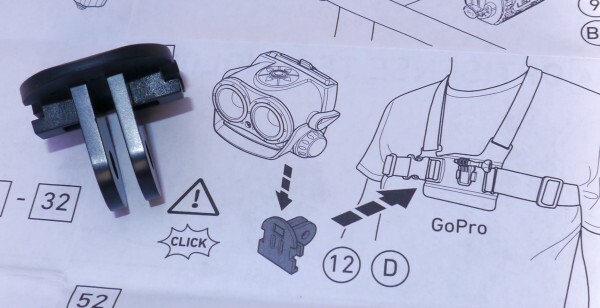 Note that the (visual) instruction sheet repeats through much the same set of modes for one LED, then the other LED and then both together. The left button or right button control the left or right LED respectively and the centre button controls them both. Press button once for 25% beam. Press button twice for 100% beam. Press button three times for “Optisense Technology” mode – this adjusts the brightness of the beam according to the surroundings. Press button four times for strobe mode. Pressing it once more (five times) will return to off. 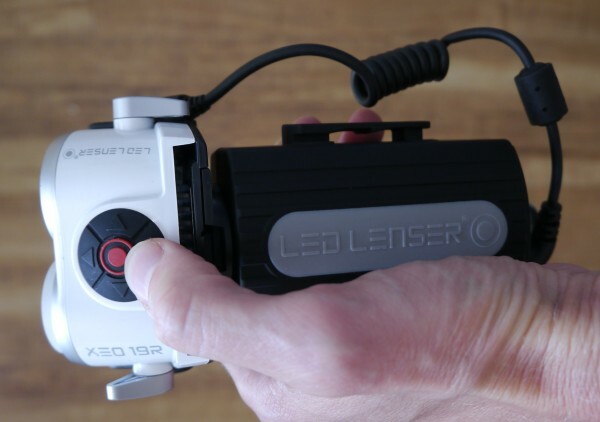 Most lamps give a choice of brightness modes but the XEO19R goes one step beyond and allows you to choose any brightness level between 15% and 100% by cycling between then – just press and hold the required button for 2 seconds and then release the button at the brightness you require. Press the back button once for 5% mode – very useful if you get caught short on a low battery. Pressing the back button once more (three times) will return it to off. Pressing the forward button and holding it for 2 seconds puts both lamps into a boost mode, to drive the LED briefly to maximum power – after a while, it drops back down to 100% mode on its own. Tapping the forward button again will drop it back down to 100% and tapping it again will boost again. The LEDs are air cooled via a vent in the base of the lamp which then curves up some metal cooling fins in the rear, so the system becomes more efficient the faster you travel, so the LEDs can stay at 100% for longer the faster you go. The cooling fins are protected, so you can’t put your hand on them. If you aren’t moving, the plastic casing of the lamp gets warm, but never too hot to hold, so this is an improvement over a lot of lamps that use a metal finned case to dissipate heat. It even has a name: Speed Cooling System(Tm). I hadn’t been to Coed Y Brenin before, and by its reputation, I was pretty excited to give it a go. Unknown trails on an unknown hardtail, in the dark. A perfect plan! [fusion_builder_container hundred_percent=”yes” overflow=”visible”][fusion_builder_row][fusion_builder_column type=”1_1″ background_position=”left top” background_color=”” border_size=”” border_color=”” border_style=”solid” spacing=”yes” background_image=”” background_repeat=”no-repeat” padding=”” margin_top=”0px” margin_bottom=”0px” class=”” id=”” animation_type=”” animation_speed=”0.3″ animation_direction=”left” hide_on_mobile=”no” center_content=”no” min_height=”none”][Off topic: The bikes were from the hire centre and were well maintained Trek X-Caliber 7s. Quite slack, so felt like they should downhill pretty well, but in reality the front end struggled to keep up the pace the tight rear wanted to go at. Better forks would make a world of difference]. My choice of mount for the evening was to use the velcro straps to tie the lamp mount to the top of my MTB helmet and to put the battery pack in my Camelbak. This required using the extension cable between the lamp and the battery pack. I was extremely pleased to see that the cable connector and the battery pack both have security arrangements to prevent the cable coming loose in the field – I’ve had this happen on a cheaper alternative before, and I narrowly missed a full tree interface situation which is something to be avoided in the middle of nowhere while barrelling along at 30+mph. My solution to that was to wrap tape around it, but it’s messy. No need for that here though! On the XEO19R, the lamp cable connects into the extension cable snuggly and is then locked in place with a firm clip. The battery pack, has a similar level of security, with a locking mechanism needing a firm hand to engage and disengage. I gave them some fairly aggressive waggling and there was no movement. At the end of the ride, they were still secure too. 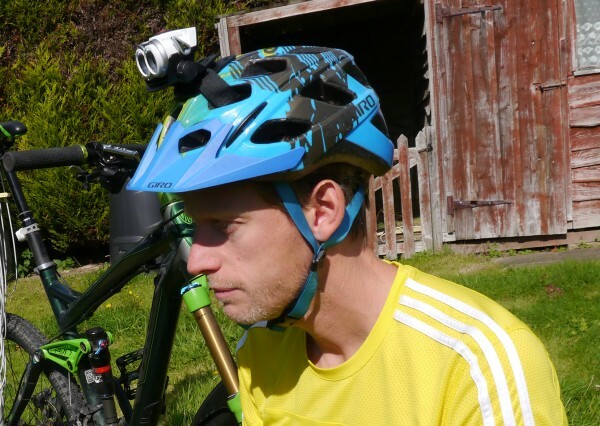 At first, I tried the lamp too far forward and it felt unwieldy, pressing the helmet into my forehead, but once I had moved it to the top of the helmet, it suddenly felt perfect – I could waggle my head about and the helmet didn’t move much and remained comfortable. 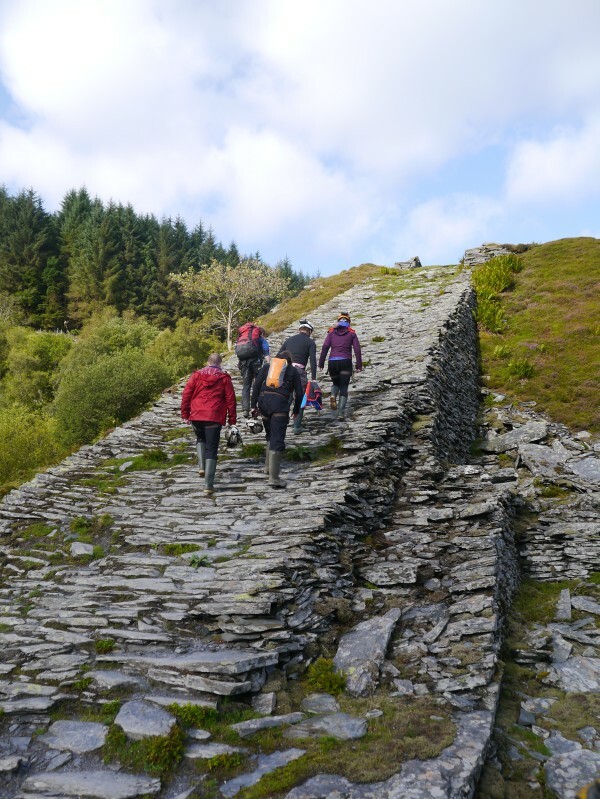 Our Coed Y Brenin guide for the evening showed us round some easy stuff to warm up in the twilight, before heading up to the rocky harsher trails like Adams Family in the total blackness of the Welsh forest. And it was very dark. There are no artificial light sources anywhere nearby. The trails wind through the trees for the most part and in the forest, you are protected from even the moonlight. It’s miles from anywhere. The nearest basic medical care is an hour away. 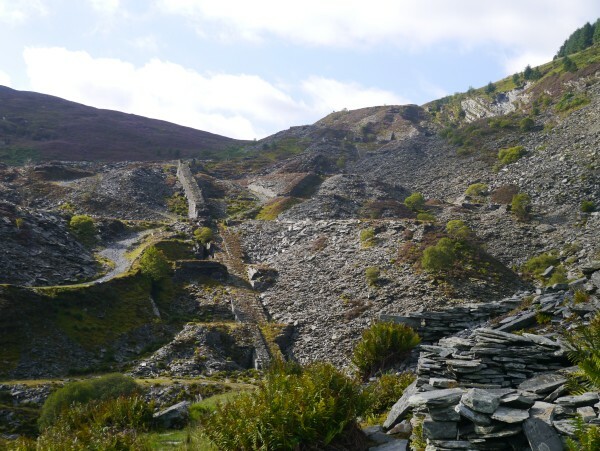 There is no mobile phone reception, so the only way to call for help is an emergency landline in the parking area – normally a fair way away from anywhere you might have had an accident! Many of the trails are cut from solid rock so staying on is top priority. So we were relying on the XEO19R to give us enough light to see what the trail was doing in front of us. Once darkness had cloaked the hillside, I stopped and played around with them both. For me, the ideal position was around 3/4 on one and 1/4 on the other. This worked when the lamp was on my head, because I could aim the beam where I wanted. When mounted on my bars later, I had to make the beams both a bit wider, for sharp corners. 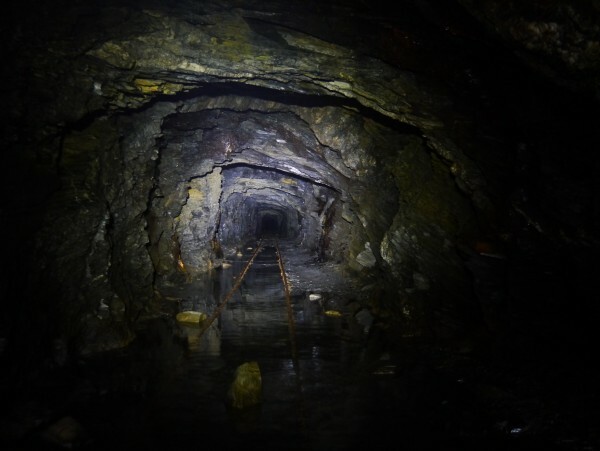 Ideally, I’d have a single spread beam flashlight on the bars and and XEO19R on my head! 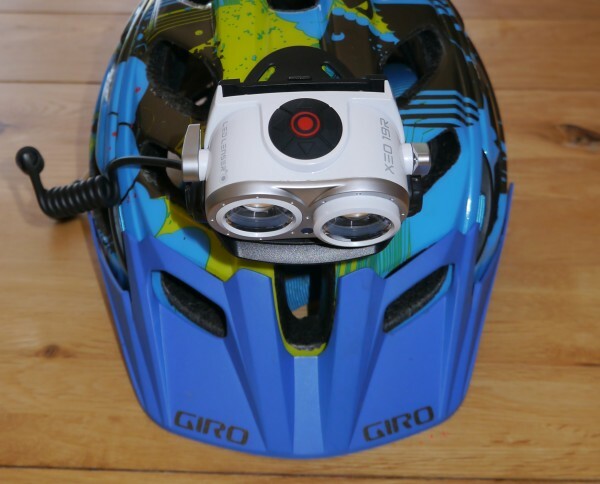 But given the XEO19R in isolation, it works great on the bars or perfectly on the head. The amount of light emitted is substantial. 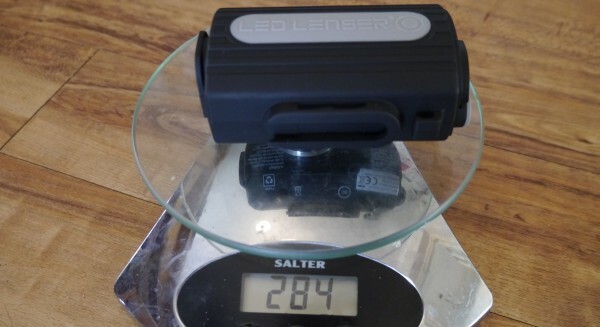 LED Lenser quote 2000 lumens (2X1000). I don’t know which Cree emitters are used in the XEO19R, but individually, they are among the brightest I’ve seen, so the choice of LED and driver is an excellent combination. There are other cheaper twin LED alternatives out there claiming similar light levels, but they don’t have anywhere near the amount of features, flexibility and tweakability that is available on the XEO19R. Barrelling down unknown trails on a hardtail is always exciting, but the amount of light thrown down made it easy for me to pick lines well in advance. I could see changes in surface texture and where streams crossed the rocky trails, making them wet. Shadows cast were never confusing. Interestingly, fellow rider Martin Cox commented that if I followed behind him (5-10m), the light from my lamp noticeably helped in addition to his lamp. 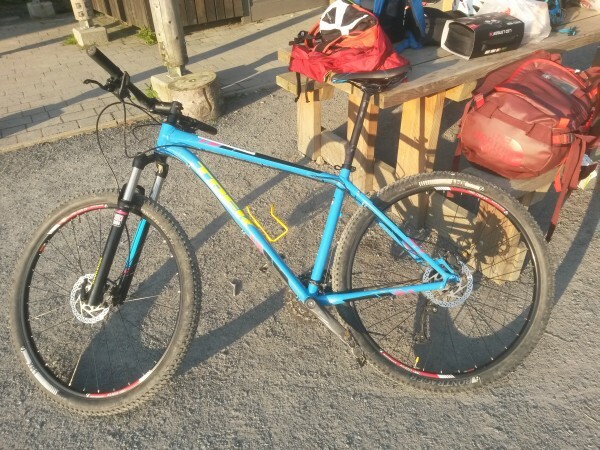 I can say that at the speeds I was going, I had plenty of light and given better knowledge of the trails and on my own bike, I could have gone a lot quicker and still had enough light. 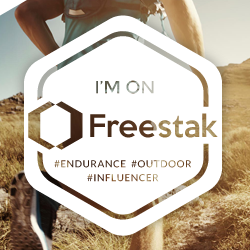 I’ll add an update once I’ve tried it on some of my local trails! The helmet mount stayed secure on my helmet and the lamp stayed securely fixed to that. There was no discernable movement while I was going down or up the trails. The ratchet pivot movement of the up / down aiming also stayed in place, without jumping from one position to another. This feature is also great for when you want to talk to someone – just flip the lamp down towards the ground so that you don’t blind them with 2000 lumens of beam weaponry. After a two hour ride, the lamp was still firing out light on full power. This is such a simple, yet great feature. It senses the amount of ambient light and adjusts the brightness accordingly. So if you use Optisense mode in the daytime, it’s very dim. Or it auto-dims if you aim it at someone else’s headlamp close to you, or look at something close to you like a map, wrist-watch or tree. From dimmed, it takes between 2 and 3 seconds to achieve full brightness, i.e. it’s a smooth transition, not like throwing a switch. I would use this mode most of the time. Lots of high power LED lamps are unsuitable for road use at full brightness due to distracting drivers with the intensity of the lights – with other lamps, I’ve had people slow down and almost stop when the beam is pointing at them. I was hoping that Optisense mode might be able to deal with this, but car lights on the other side of the road are not bright enough to affect it. Claimed battery life at 100% brightness is four hours. In at a test on the 100% brightness setting, but stationary, with no cooling, at room temperature, the visual meter on my battery pack was reporting less than 20% life left (single red light when button on battery pack is pressed) after two hours 30 minutes, and brightness reduced to considerably less than the original 100%. After three hours it turned itself off. 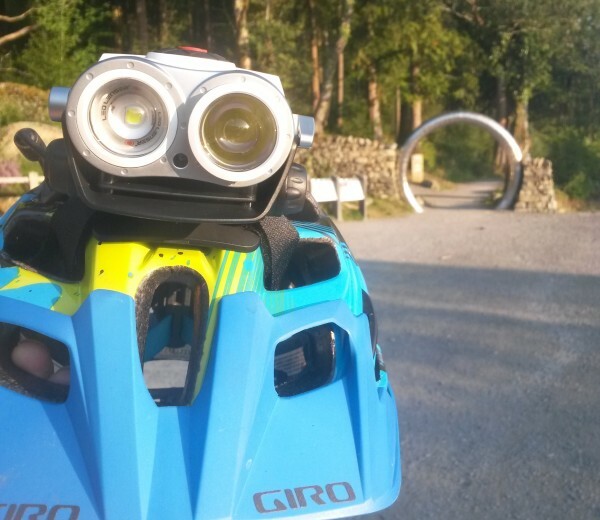 In the real world, out on the trails, the LED would stay brighter due to the Speed Cooling System. 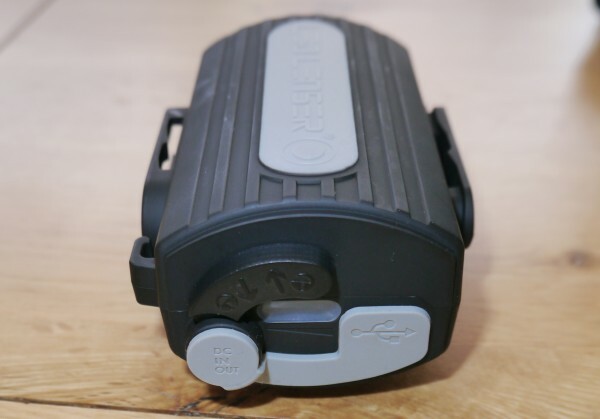 The battery pack uses 4X18650 batteries, but the claimed capacity of the pack is 5200mAh, which makes for plenty of scope for improvement in future versions, with single 18650 batteries being able to hold over 3000mAh. I wonder if the capacity is actually understated. Charge time from empty is stated as three hours. These are some photos taken with the lamp and camera at 25m from the fence. The lamp standing on a wall a little lower than handlebar height, but not much. As you can see, the ground is superbly lit and the fence is very bright. 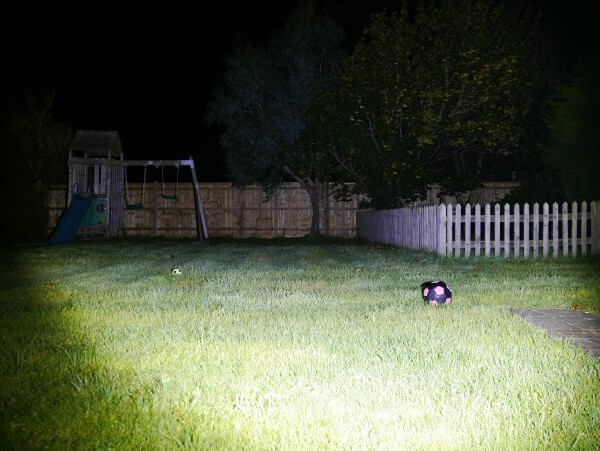 As you can see, the ground is now daylight, but the fence is a bit dark. As you can see, the ground nearby has lost definition, but the fence is cowering in fear. 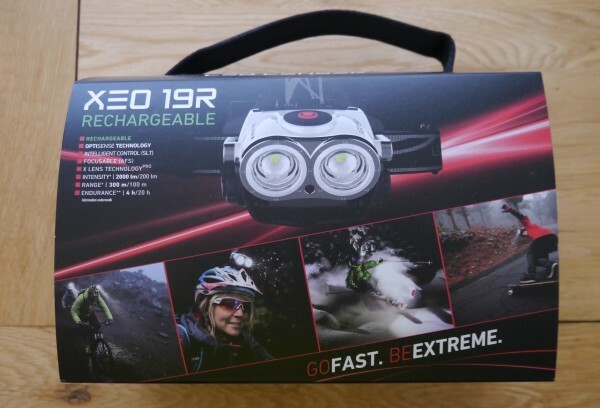 The XEO19R is rated as IPX6, so it’s rain / splash proof (lamp and battery pack). 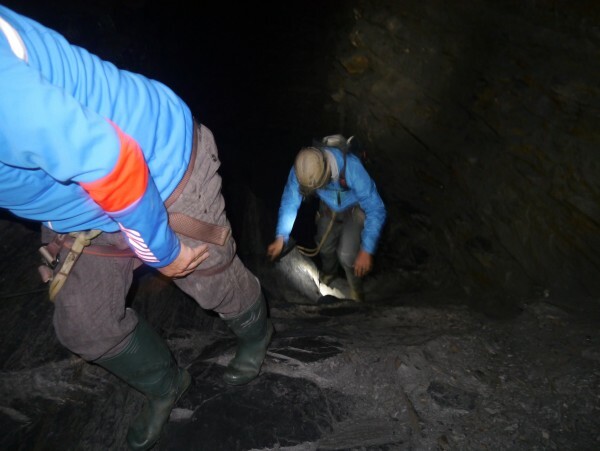 This was just as well, because the next day, we headed over to Go Below Underground to get kitted out with helmets, wellies and harnesses, ready to go on an adventure in some abandoned Snowdonian mines. The helmets they provided had clips for lamps (normally using single LED lamps by another brand), so we used our full helmet straps and replaced them with the XEO19R, so the lamp on the front and the battery pack on the back. 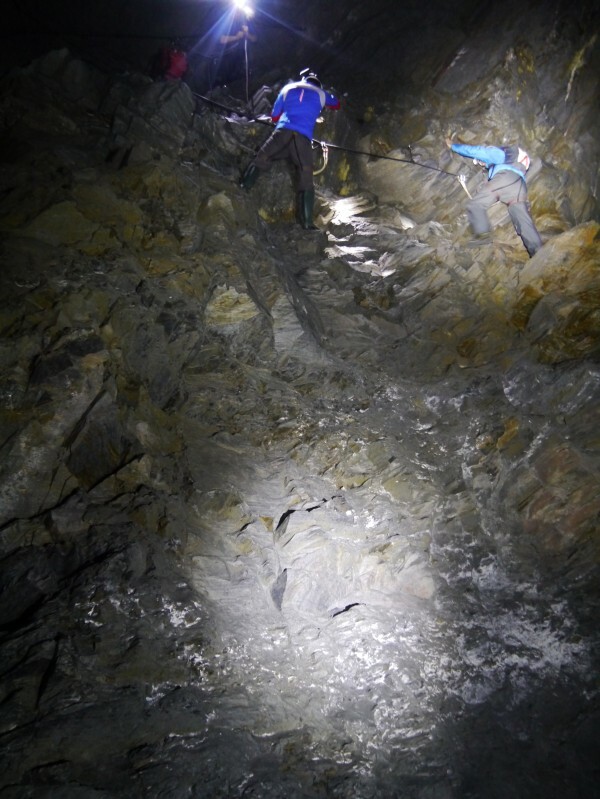 We then wondered what it looked like with all six of us aiming our lamps down the same tunnel! 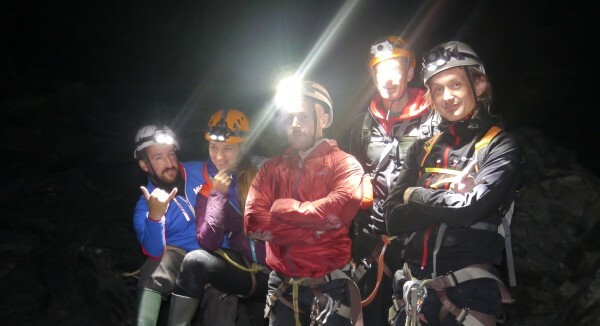 At first, I thought that the weight of the lamp and battery pack might get a little uncomfortable, but after 15 minutes, I got used to it and for the next two and a half hours, I mostly forgot it was there and concentrated on ziplining, abseiling, climbing and getting wet. 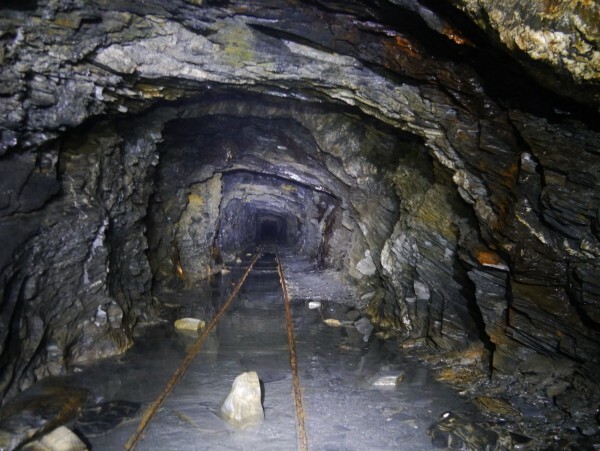 All the mine pics below were taken using the light from our lamps alone. It was a brilliant few hours and much more challenging than I expected. The lamp’s performance was top notch throughout though! 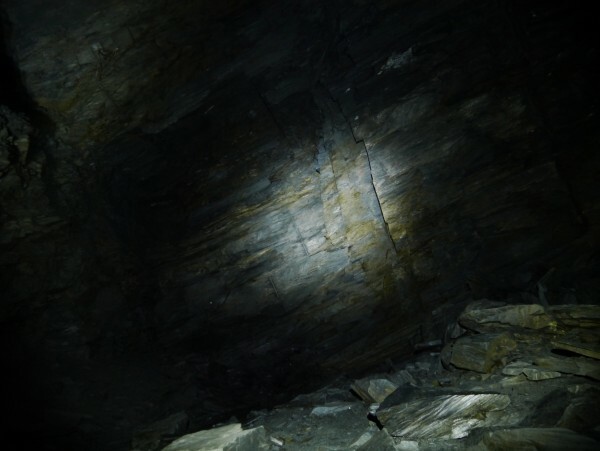 The LED Lenser XEO19R is a great package. The build quality is sky high. The feature list is immense. The accessories are comprehensive and equally well made. 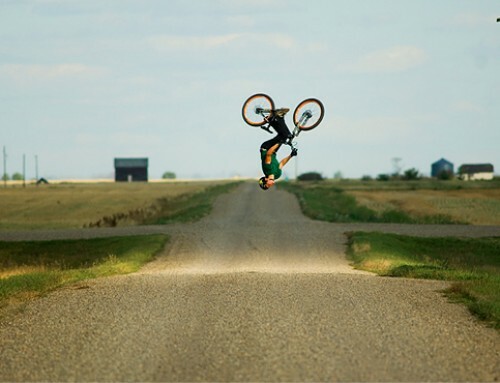 For mountain biking use, it provides a lot of light. After trying a 2 LED setup, it’s difficult to go back to the single LED design. There will never be a moment where you can’t see far enough ahead to plan your line, but you can still see your peripherals. The Optisense makes sense and works as intended. The ability to individually focus the two beams is a massive plus point and makes this lamp pretty special. If you ride fast in the dark, then you should definitely consider this lamp. 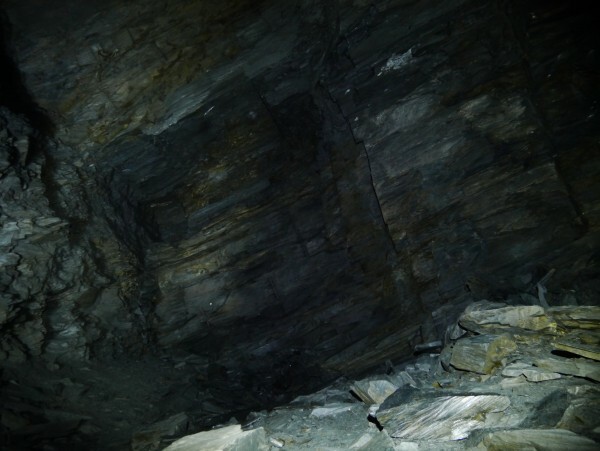 For walking use in a cave / mine, this is total overkill! But this is a good thing – it means you can see the beauty of huge sections of the caverns at once without moving your head much. You can have it on lower brightness for a longer battery life and go all day. Or just turn on one LED. With this lamp, you have the choice. Recommended. 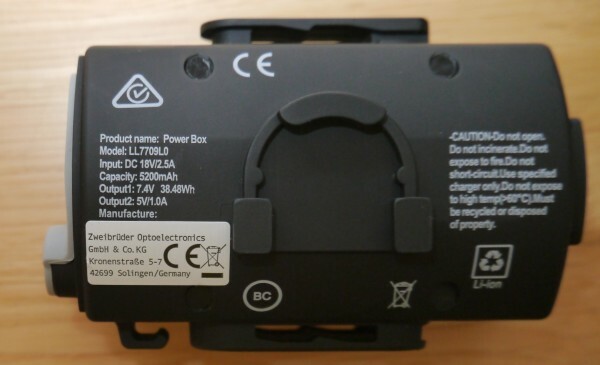 Anywhere to get replacement battery packs? 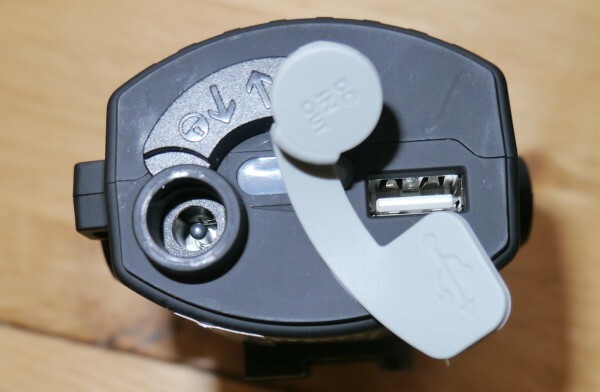 Could I use something like nitecore rechargeable 18650s? Are those flat top! I’ll see if I can find out. If you want to use your own 18650s you’d have to get creative. I have a question about the light output. As you have said the manufacturer claims at boost mode Xeo19R can generate 2000lm. That is all great, but it is not much to go by. What is the high setting, as you mentioned “100%”, what light output do you get in the respective modes 25%, 50% and 75%? Thank you. Sorry, been away in South Africa on Safari for a bit so didn’t spot this till now. I don’t have the kit to measure exact light outputs. Hi Stephanie. EDIT: It has red and blue LEDs. I can’t remember how they display. I’ll double check this evening. Holding the button on the side of the battery briefly (while not plugged into the charger) also tells you current charge if you can decipher it. Sorry, it has red and blue LEDs. I’ll get back to you. Hi Stephanie, the end of the battery shows 3 blue LEDs when it is fully charged. My XEO 19R which was bought only 2 days ago worked ok on the first night on the second night with fully charged battery it will only flash for a second and then turns off. I’ve tried different button combinations with the same result, any ideas. I got this lamp. Would not charge. The local distributor replaced the battery for me and yay it charges. Used it tonight on a night ride on the mtb handlebars only with nothing on my helmet. Wow. 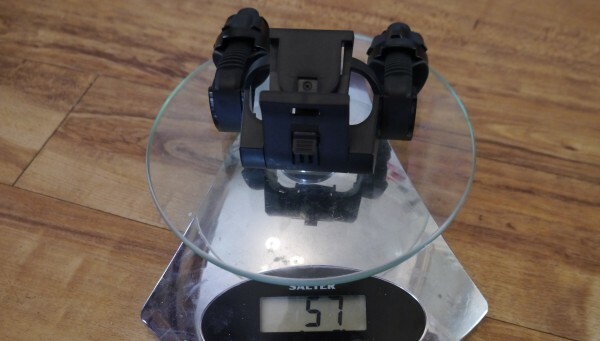 Very solid mount and easy to use. Battery lasted the ride of 2.5 hours with a mix of 1000 lumen and 2000 lumen use. I found the one led on wide and one on narrow generally worked well. 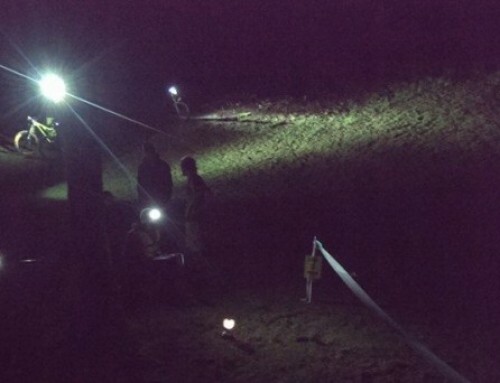 I could use 1000 lumens most of the time and 2000 for twisty single track in the forest. Even in the forest turns, I could make out the turns. Very impressed. I cycled fast almost as fast as during daylight. My mate with his magicshine on the bars with a supposed 1500 lumens and a 600 lumens headlamp on his helmet said my light drowned his out when I was behind him on 2000 lumens. This is a really quality great light and I can recommend it to anyone. Great review, just ordered one thank you. 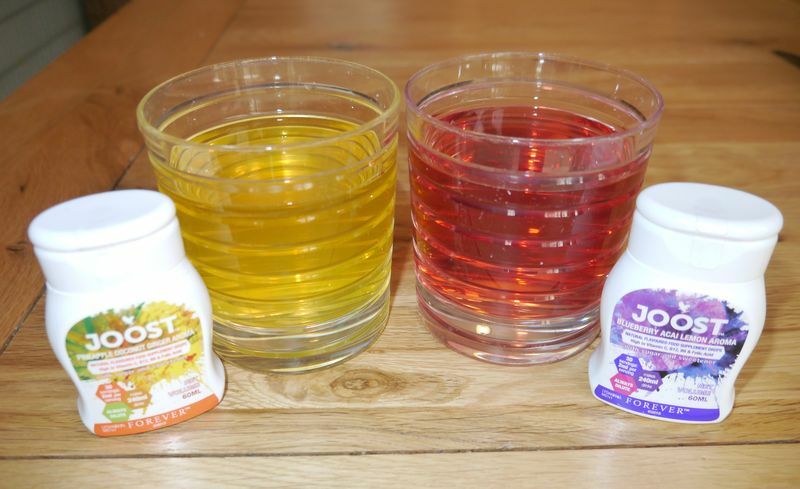 It is a really good review and I found it really helpful. I’ve been impressed, as you were, for many years with Lenser. I have an H14R.2 doing duty on my MTB in a $20 holder along with my new Fenix BC30R 2017 Edition. Both excellent lights but of course the BC30R is designed as a bike light primarily. Still the H14R.2 has done a great job thanks to the focussing lens. A small amount of rattle is the only issue but nothing serious. 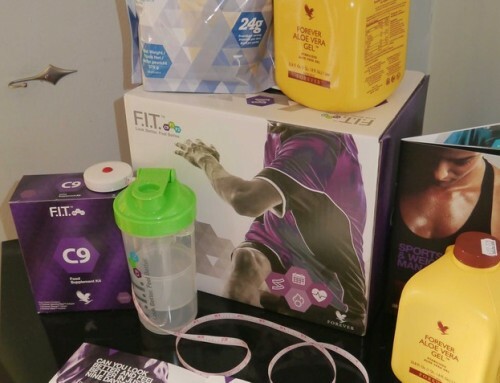 I decided I would love to get this XEO and I DID!! I have only used it so far on the handlebars and it was impressive. 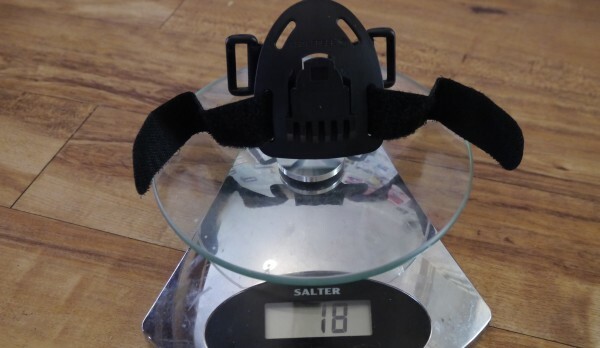 I have now mounted it on my helmet and will try it tonight. I do and want to do even more night riding on tracks as I am busy during the day and Winter is coming here in Perth. My only qualm really are the controls are a bit quirky. In particular when in boost mode when I click again it goes down to 25% although that may not be a bad thing as if you hit the main central switch it turns off! The 25% may not be a bad thing as often you want to reduce light to avoid blinding somebody. I think that might be one criticism, for safety, it should take a 2 or 3 second press to turn both lights on and off to prevent accidentally turning it off altogether while riding. I haven’t tried Optisense yet. What really impresses is the high quality fittings and the versatility thanks to all the fittings supplied. 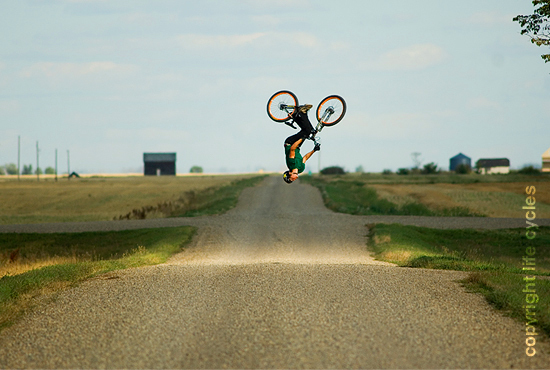 The handlebar and the helmet fittings are firm and wobble free and the connections are carefully protected from accidental disconnection. The light LEDs seem to be very efficient and even after running for 30 minutes on boost last night, it stayed on boost, it didn’t step down and the light stayed cool to the touch. It means the heatsink also has been engineered very well. 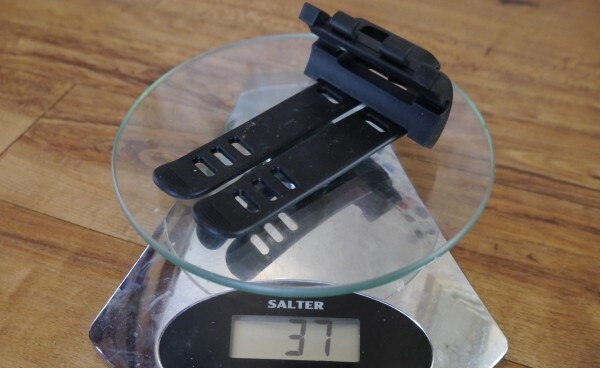 The guarantee on these here in Australia by Lenser are also very good. 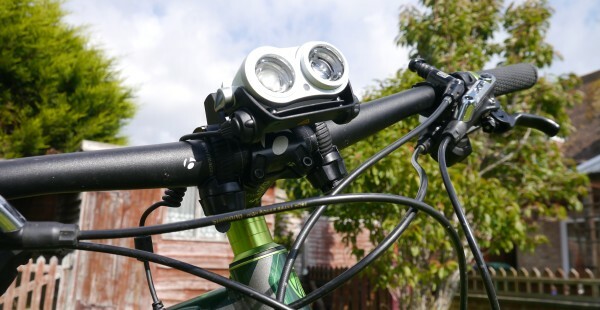 The other good news is the head of the light is much lighter than most lights as there is no battery which makes it ideal for helmet mounting with heaps of power. 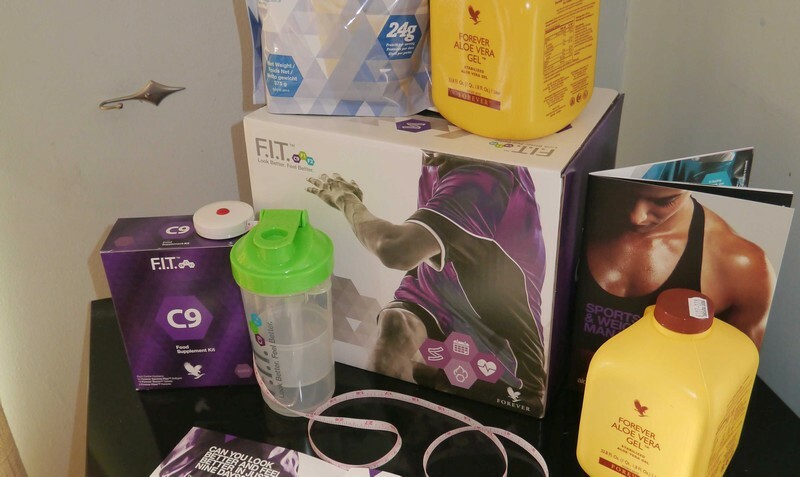 It is a powerful light and with the focussing you have the choice of how you set it up. 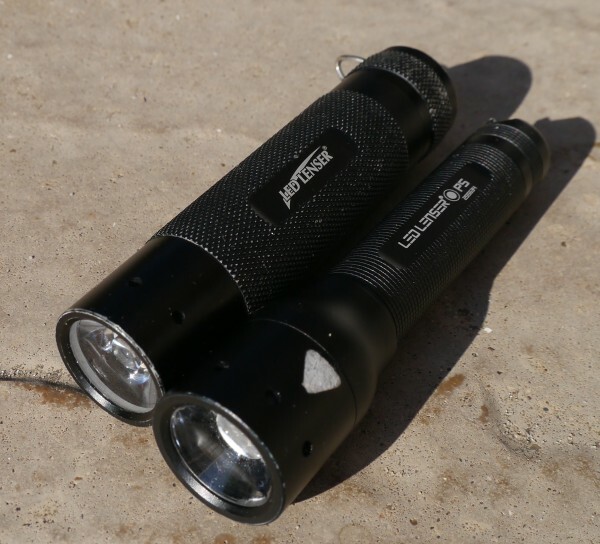 I have Eagletac, Thrunite and Zebralight torches as well. 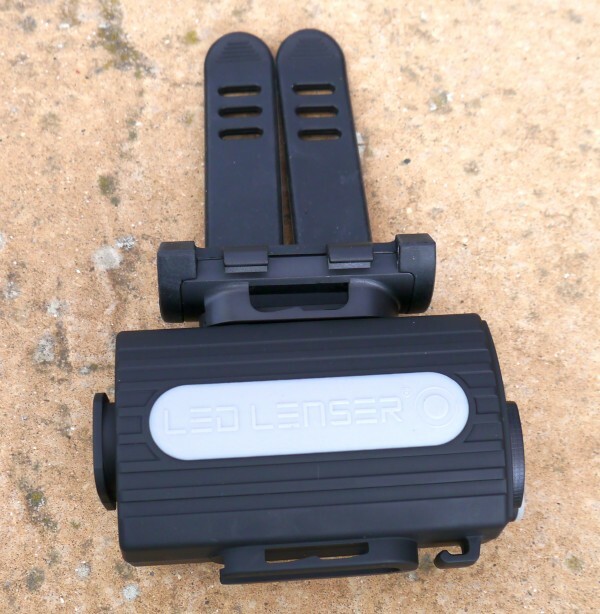 There is on candlepower forum a dislike of Lenser due to the focussing beam but to me, it is very practical and effective. Great stuff Grant. I think another criticism of the XEO is the price, but the quality makes it worth it I think. A truly brilliant review. Thank you. I am very happy with this headlight that I purchased only a fortnight ago. I must say that I was really disappointed in how the battery gets charged. Just about every battery pack that is bought today is charged by micro USB. Also it’s so odd that my Led Lenser H14R.2, which has been an excellent headlight, charges by a USB port but somehow not this product? Even external battery packs above 50000 mAh for backup use on mobile phones has a generic 5 volt USB type or lighting(apple) cable ! All the power packs I own are charged this way. Makes charging a breeze and all interchangeable.It’s just so simple. 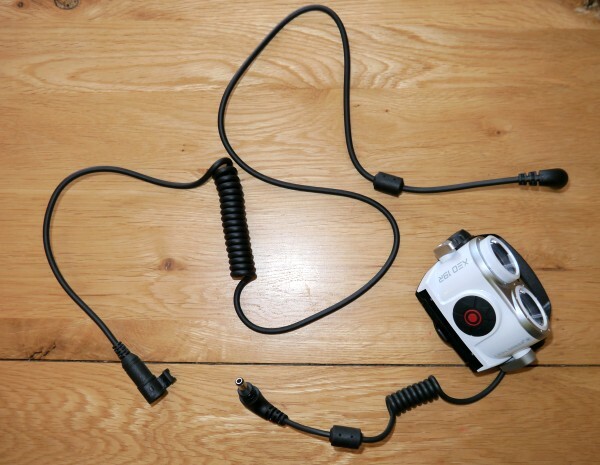 No extra specialized wall charges and leads you have to carry around and heaven forbid if you loose any special adaptor lead needed like this set up. Charles, So far this is the only negative I have for this XEO19r head light. Thanks for the kind words. It would have been great if it could have come with a usb adaptor. Thanks for a good review. Got mine yesterday. Plugged it in to be charged and went to bed. When I tried is this morning does it seems to be a DOA product as no sign of life at all. When I press the button on the battery pack does a red light flash for a couple of seconds but go back to “dead” again. Bummer. A couple of other people in the comments here have noted that their initial battery was dead – hopefully a replacement will get you up and running. En ce qui concerne la batterie ? Clignotant rouge vide au chargement ! Clignotant bleu une foi plein ? Part contre quand t’elle est allumée je n’est aucun témoin qui me donne le niveau de chargement est-ce normal ? Sorry, my French is rubbish these days. 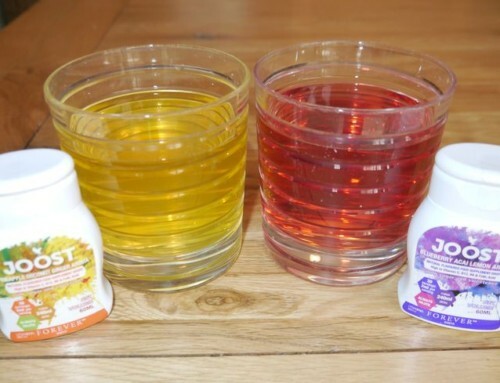 I think, yes, red when nearly empty and blue when full. I didn’t understand the next question though.